There are very few properties you stay at in life where you don’t want to leave, where time stands still, your soul is settled, and all seems right with the world. 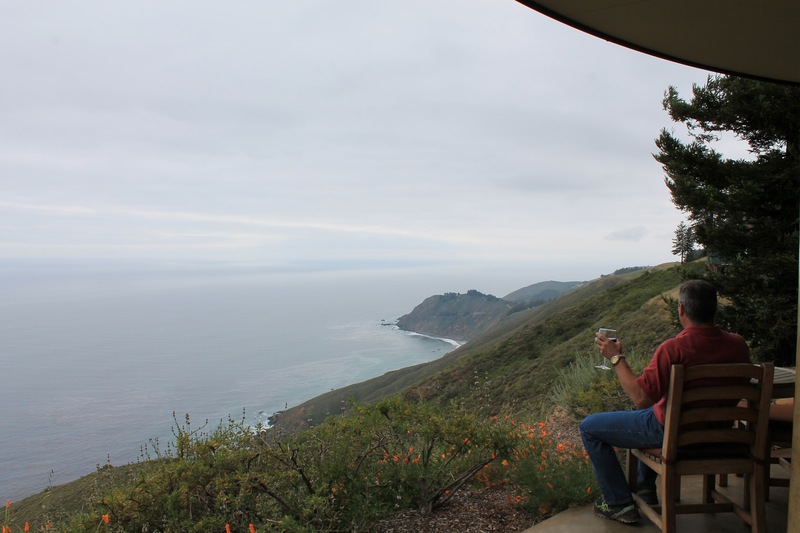 Post Ranch Inn, located on the stunning Big Sur coastline in California, is just one of those places. Post Ranch Inn is as close to heaven as you can reach, almost literally. Perched 1,200 feet above the ocean and straddling a mountain ridge providing views to the Pacific on one side and the Santa Lucia Mountains on the other, the exclusive 39 rooms are an oasis from the stressful day-to-day environment we often find ourselves in. The vast property of 100 acres is punctuated by outdoor original sculptures and nearly three miles of trails crisscrossing redwood groves, fields, and gentle inclines. Of course, it is the vast ocean views which inspire guests and which prompted the original building of the Inn in 1992. Wisely, initial building principles were grounded in an organic approach to the unique landscape and the end result is an unobtrusive boutique lodging which reflects, not only a sense of place, but also a sense of peace. It is rustic, yet luxurious; innovative but comfortable. The original rooms vary from curved sod-roofed structures with ocean views, to multiple tree houses putting you directly among mature trees elevated from the earth, yet connected to the land. Rooms vary in size, some smaller than others, so check to see that the size is appropriate for your length of stay. Ten new larger rooms were added in 2008 with heated stained concrete floors, real wood burning fireplaces, comfortable seating areas and desk, a bevy of complimentary snacks and beverages including decadent chocolate chip cookies, wine, and drinking water bottled directly on the property. And every room has binoculars with which to survey the ocean, perhaps passing whales and anything else out at sea. And it was one of these rooms where I stayed, and the anticipation of staying here was only matched by finding myself here for real. The beds face directly out to the Pacific and electronic shades will keep you in the dark should you decide to sleep in, but frankly with these views and miles of trails, yoga, an outdoor heated pool, a fitness room and unfettered views of the Pacific Ocean at your disposal, why would you sleep in? But the outdoor hot tub set within feet of the cliffs does meditative quite well too, a stainless steel bath out amongst the stars which gives you the privacy you desire. There are no railings, the flagstone patio goes right to the slopes of the hills, again making for no distractions visually. Teak tables and chairs face out and the way the rooms are designed, it’s very difficult to see your neighbors. In fact, many guests who come to Post Ranch never leave the property. Some folks may bemoan the lack of TVs in the rooms, but with nature at your doorstep, you don’t need to watch reality shows, you are in reality; the jaw dropping beauty and serenity that Mother Nature herself has provided. 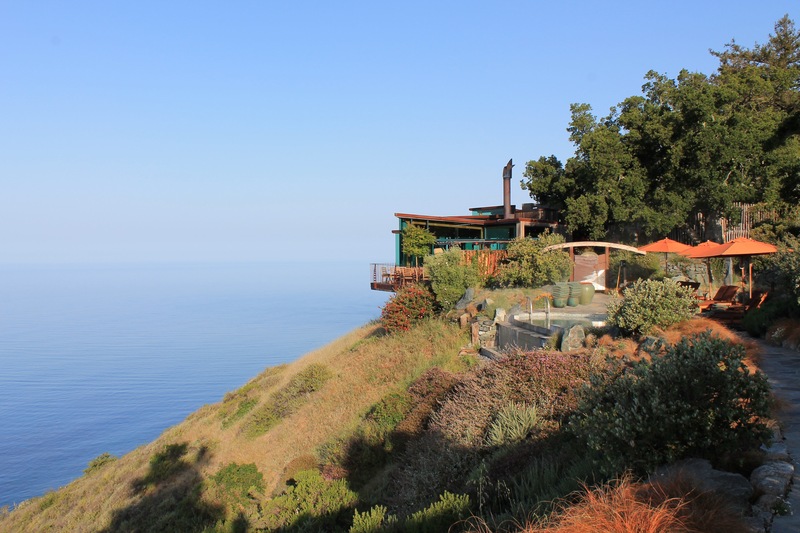 The Big Sur coast is not an entertainment mecca; there are no movie theatres, no malls, in fact, barely any shopping at all except for a few art galleries – it is a detox world, a purposeful escape. But Post Ranch Inn is also about discovery, like the hammocks set amidst redwood trees, or wild turkeys that roam the property, outdoor lounge pools with uninhibited views out across the Kashmir blue of the sea. Daily yoga and meditation are offered in a yurt, with knotty pine wood floors making it the perfect place to ruminate. There is a small mercantile shop with local art and jewelry, books and organic clothing, which is near the garden that Post Ranch uses to provide some of its culinary nuances in your meals. The Ranch allows for a type of self-discovery – a space in which to allay your fears, worries and cares by simply being in one of the most beautiful places on earth, and not have a care in the world other than to decide what to have for dinner. A library is situated near the tree houses, a quiet spot to thumb through their extensive collection of books, or to wile away the hours with your own book. Such is the level of concierge, which is top-notch, and the near spiritual calmness that permeates the property – you never feel rushed. Breakfast is included in your stay and features an omelet station, fresh baked pastries, and fresh fruit. And you cannot beat the glassed-in views jutting out from the cliffs of restaurant Sierra Mar, with its sharp octagonal motif counterbalancing the soft and smooth ocean. The lunch menu rotates seasonally, whereas the dinner menu changes nightly; therefore, there is always something new to discover. 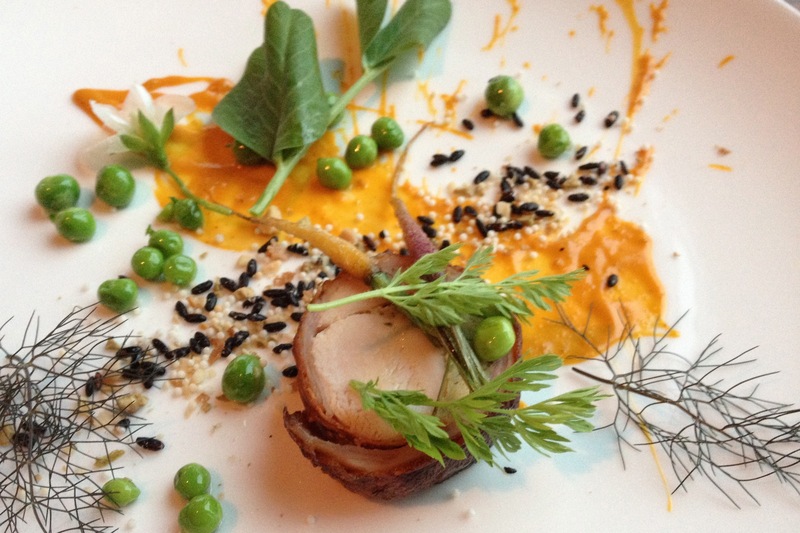 The eclectic dinner menu can range from Moroccan carrot soup, to baby octopus braised in ink, to savory black truffle gnocchi. Desserts like Tahitian shortbread with lemon verbena ice cream seal the deal. To visit Post Ranch Inn is to suspend yourself in moments of time, and your time spent here will make everything right with the world. True, Post Ranch Inn is not inexpensive – a standard room will run you about $1,500 a night, sans dinner or lunch. Sure, there is the ability to use one of the Inn’s Lexus SUV’s to drive yourself about, sure you get Champagne when you check in and, sure the concierge is beyond the pale, but staying here, while pricy, is a near ethereal experience, in part because there are so few properties situated away from everything. The tony village of Carmel is 30 miles north, while “Carmel-lite,” Cambria is 70 miles to the south. A visit to Post Ranch Inn is a memorable experience, a special treat and one of those rare experiences that helps to define your life.